You’ve made it to Tangier and, hopefully, made it across the border more easily than we did. Now you have your eyes set on exotic Marrakech. Wonderful! Just know that going from Tangier to Marrakech can be its own adventure. But, doing almost anything in Morocco can be an adventure to be honest. 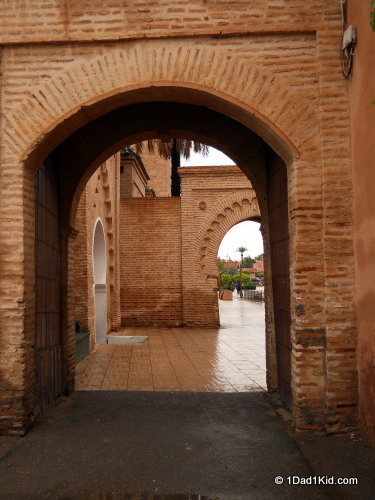 Flights within Morocco are quite expensive, so unless you’re traveling on a fat budget, your 2 main options for getting from Tangier to Marrakech are a really long bus ride or a long, overnight train ride. After seeing that the prices weren’t all that much different (350 MAD for a couchette (sleeper) vs. 215 MAD for the cheaper bus company; a $15 USD difference), we opted for the train. Mostly for the experience since neither of us had been on an overnight train before. Plus, unlike my child who can fall asleep virtually anywhere and in almost any position (kids are rotten), I have a hard time falling asleep in any position other than prone. Tangier has a fairly basic train station that is just outside the downtown area, a short taxi trip away. This is good because you may have difficulty purchasing your tickets without going to the train station. Since you’re in Tangier, a fairly bustling port city that gets a lot of international visitors, one might expect to find a dearth of clerks who speak English. Not so. Since this area used to be part of the Spanish protectorate, there’s always Spanish then, right? That would be nice, but it took 3 different languages for me to buy our tickets. Had my French been fluent, it wouldn’t have been a problem. Since my French wasn’t . . . well, I had more fun. Unfortunately, it is not apparently possible to buy tickets online, even though many of the companies have fairly nice and helpful websites. Oh, they may tempt you and take you all the way through a purchasing process, but don’t hold your breath. It’s easier to go to the station. Really. If you don’t want the adventure of buying your ticket through the guichet, aka ticket window, there are several ticket vending machines in the station which are quite easy to use. If you don’t have a card with a chip in it, though, you’ll probably need to be prepared to pay cash (although unchipped cards do work at the ticket window). You won’t need exact change which makes it handy. I didn’t attempt to use my card with the machine so give it a go and let me know how it went. We boarded the train at about 9:15 PM. Each of the couchette comparments has 4 beds. Tigger likes bunk beds, so he was thrilled. Our room was next to the bathroom. I wasn’t super happy about that because of the inevitable smells that seem to accompany those locations, and even less so when I noticed the sign asking people to not use the facilities when the train wasn’t moving. That didn’t help me feel more enamored with our site, but with a fully booked train what are you going to do? We put our bags away and made our beds (linens provided, but no blankets). A cart comes by with some reasonably priced snacks and drinks, and someone else comes and hands everybody a free bottle of drinking water, and then you’re off! The cars are acclimatized, so you get heat (and lots of it) in the cooler weather and, supposedly, A/C in the summer. You can also open a tiny window for some fresh air which is a nice touch. When I went to the bathroom, I noticed an unusual draft coming from the inside of the toilet. A draft from the toilet? How odd, I thought. And that’s why you aren’t supposed to use the toilet when the train isn’t moving. The toilet hole is exactly that. You leave your mark, shall we say, on the railroad tracks as the train whisks by. Well, at least that means few to no bathroom smells. And if you’re seated, your tush gets a nice refreshing breeze. Silver lining and all that. I was actually surprised by how well I slept. The train does make a few stops, but it really was quite smooth. I had also expected to have a harder time falling asleep in a small room with 2 strangers. Another surprise for me was how comfortable the sleeping pad/mattress was. I had expected to feel a bunch of springs or something. That was most definitely nice! In the morning, another food and beverage cart will come by offering typical breakfast drinks, i.e., coffee, cappuccino, juice, for sale, as well as some small things to eat. The train arrives in Marrakech in the early morning. You’ll have plenty of time to get to your riad, hotel, or similar accommodation before the square in the medina starts getting crazy. After having ridden in a few buses in Morocco since then, I’m very happy we took the train. I’m not sure about the overnight buses, but the other buses do not have bathrooms. They do have some rest stops with bathrooms and hot food service, but you aren’t likely to get a lot of sleep since they turn on all the interior lights any time they near a rest stop or bus station stop. Couchettes can sell out quickly during holidays, weekends, and peak season, so it’s a good idea to buy your tickets from Tangier to Marrakech as far in advance as you can. You can also buy your tickets on the train if you didn’t have a chance to buy them in the station, but you run a big risk of not having a couchette. The food cart offerings are pretty limited, so I suggest you bring some of your own food on board, especially if you’re traveling with children. It is wise to carry toilet paper with you when traveling in Morocco. Many places, including restaurants and some hotels, don’t have it in the bathrooms, especially if they have a squat toilet. An eye mask and ear plugs might be a very good idea. Generally, the noises on the train aren’t too loud, but a fussy baby or a loud snorer can really cut into your sleep. There really isn’t availability for charging electronic devices. If you are. . . sensitive about cleanliness of bathrooms, you’ll want to bring something to improvise a toilet seat cover and some paper towels for the bathroom sink/counter if you will need to set anything down. Also hand sanitizer, since there probably won’t be soap in the dispenser, and chances are the dryer won’t be working either. If you’re wearing contacts and need to remove them to sleep, it’s a better idea to take care of that in the station bathroom prior to boarding. The train is not very friendly for those with mobility disabilities, so plan on needing assistance to board and get around the train (ditto for buses). Hi, thanks for the detailed post! There are some private compartments in first class, but they tend to fill rather rapidly as there are few. Alternatively, you could try to buy tickets for all four beds in one compartment. 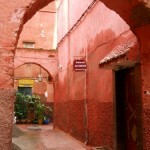 I have travelled by train to Rabat with my husband about 5 years ago, but not overnight. I am considering travelling from Tangiers to Marrakesh on the overnight train and I now use a walking stick and this time will be alone. I am no spring chicken but neither am I over the hill….so hints on practicalities please. That shouldn’t be a problem at all. If you were in a wheelchair, I’d suggest an alternative. But a walking stick shouldn’t present any trouble at all. The space in the couchettes is ample enough for you to be able to move around, and the toilet areas are big enough as well. I really wouldn’t have any reservations about it at all. Great post Talon! 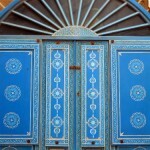 Looking forward to taking the same overnight train trip to Marrakesh in a few days time. Love taking the train and sleepers are the most fun. 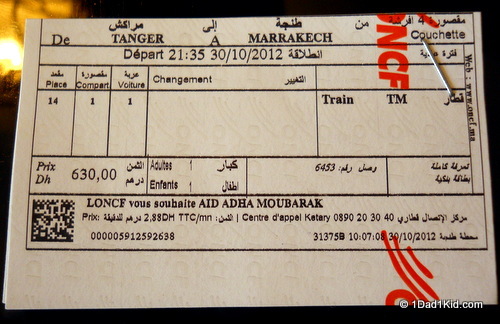 We didn’t take the overnight, but we took the train from Fes to Rabat to Marrakesh. 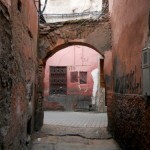 Later back to Fes and then to Casablanca. We loved traveling via train in Morocco, and also had that same giggle when we discovered the toilet empties directly onto the track. Enjoy Marrakesh. I’m a big fan, too. I also like that it makes it easier to socialize with people. Great info! 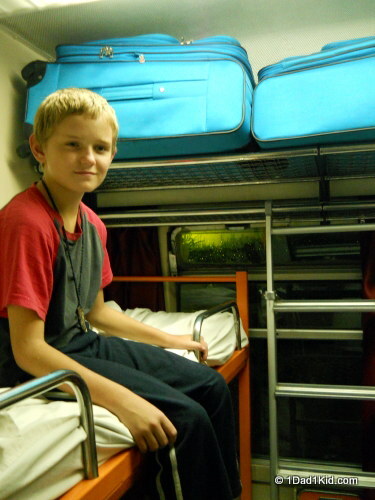 I love sleeper trains! I’m a fan now, too. Much more relaxing than taking the bus. 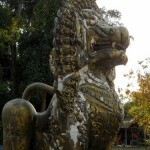 And more conducive to chatting with fellow travelers.